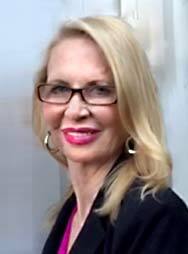 I am a licensed psychologist and board certified psychoanalyst who has been in practice for over 30 years. I have worked with children, adolescents and adults with a variety of mental heath diagnoses as well as various learning issues. My personal philosophy incorporates the idea that life is about learning; about myself, about the people I encounter and about the world in which we live. I also like to share the significance of having a deep curiosity about ones self with people who want to know more about their internal world; what leads them to do one thing versus the other, chose one career over another or how they came to be with one person instead of someone else. When people can see the choices that are really possible for them, verses feeling they must do one thing or the other, life becomes much richer and full of interesting opportunities. Often people feel as though they have to do what others wish for them to do. However, looking from another angle, it is possible to see that life is filled with choices; it is this other angle that I like to help people come to know in a collaborative way. My office is located in Chevy Chase, Maryland at 2 Wisconsin Circle in the Metro Building directly above the Friendship Heights subway stop on the Red Line. There is also parking in the building. © Dr. Karyne Messina, Therapist. Chevy Chase, MD. All rights reserved.